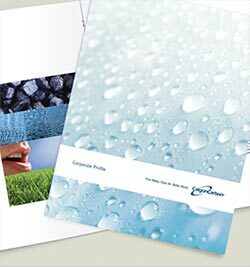 With an extensive range of coal, coconut, granular, powdered and high purity acid washed activated carbons, Calgon Carbon has a solution for a host of purification challenges, for industries producing or using liquid chemicals. Calgon Carbon has engineered a large GAC product portfolio to address very specific requirements in liquid chemical purification. Calgon Carbon's ISEP® (ionic separation) continuous ion exchange units are used for a variety of production, purification and recovery of industrial processes that include separation and recovery in hydrometallurgy, decolorizing in pulp and paper, production of organic and inorganic chemicals, purification of brine, and production of fertilizer and high purity salts.